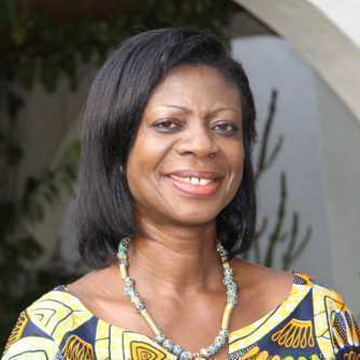 A courageous Ghanaian Industrialist, Mrs. Kate Quartey–Papafio is a firm, proactive and resourceful leader who sees risks and challenges as opportunities for growth and development. To her, gender cannot be an excuse for non performance. She founded Reroy Cables Ltd in 1992 to distribute high quality electrical cables and as at today, Reroy Cables represents the repositioning of one of the iconic brand names in Ghana’s cable manufacturing and aluminium application industry which goes beyond its basic power cables business. As a major player in the production and supply of power cables, conductors, provision of electrical power distribution system and strategic contract services to the electricity sector, its business is also linked to the electricity distribution and transmission business. Reroy has expanded its manufacturing capabilities in Ghana to optimize its global business portfolio, and exploring further other geographic deployments and business ventures across Sub region. Over the last two decades, she has led Reroy to build a brand, which has now become synonymous with our core values of excellence, integrity and continuous improvement. In view of the increasing complexity and dynamic nature of current challenges facing many of the world’s economies, have led Reroy to focus part of her investments on the development of specialized human resource and technological base. Today, Reroy can confidently boast of a client focused approach underpinned by responsiveness and keen attention to detail as the hallmark of her service delivery. Through her positive influence and initiative, over the past years, Reroy has experienced substantial changes in the outlook of the company into a Group of specialist engineering entities ; Embracing diversity and gender balance, Integration of product and service offering to become a “one-stop-shop” for Power solution and Expanding her international footprint with operations across Africa. It is the long term ambition of Reroy to become a global leader in providing sustainable solutions in the power sector including the design, manufacture and delivery of power infrastructure and investment support /partnership in general economic infrastructure. Through the collaboration of its subsidiaries, Reroy is well placed to provide exceptional value to its clients through integration of its operations and consolidation of its supply chain. Reroy Group is also well placed to provide targeted solutions in a broad range of power needs. She was on 18th October 2014 crowned the Chartered Institute of Marketing Ghana (CIMG) Marketing woman of the year 2013 and on 12th December adjudged winner in the Entrepreneurship category at the maiden edition of the Osagyefo Kwame Nkrumah African Genius Award and her company Reroy cables limited was adjudged the Manufacturing Company of the year 2014 at the latest National Marketing awards organized by the Chartered Institute of Marketing Ghana. Other achievements includes Electrical Product of the Year 2013; Ghana-Made Products awards, Winner 2013 Ernst & Young West Africa Entrepreneur of the Year Award ,Africa’s most influential Women in business & government Awards 2013; CEO Communications Limited, South Africa and Silver Award; 3rd Ghana-Africa Business Awards 2008. As part of my Corporate Social Responsibility Reroy Group strives to harness the full potential of the youth, through capacity building and development of the educational infrastructure in the communities within which we operate.